Been diving in Stingray City Sandbar? Please Vote! 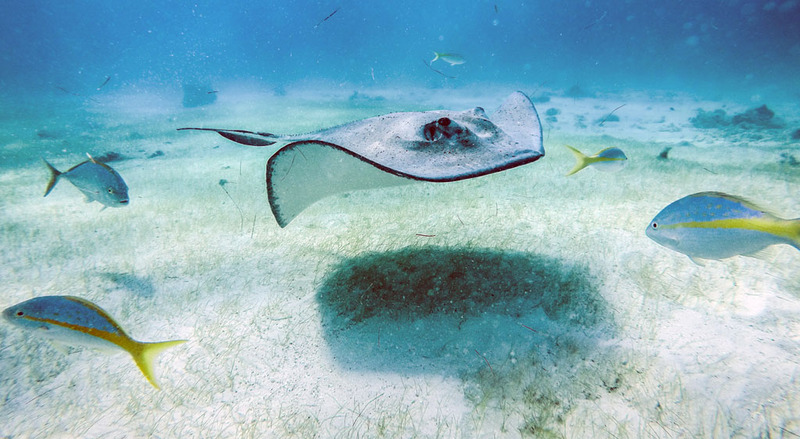 There are actually two sections to Stingray City, the shallower sandbar where you can snorkel with them and the deeper sandbar where you can dive with them. 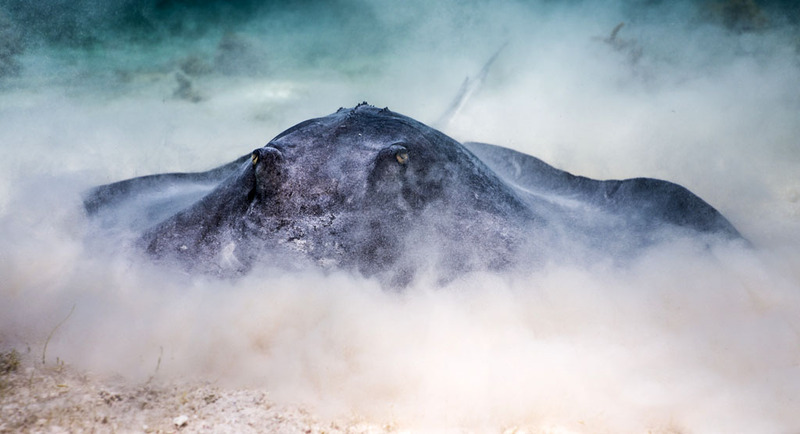 It was the latter that I headed to when I was in the Cayman Islands in April 2017, and I was blown away by the encounter. The Southern stingrays are drawn to the area because of the fishermen who go through the reef into the sound to gut their catches. The fish guts were thrown overboard and the stingrays congregated to feast on them. Now the stingrays associate the sound of a boat engine with food, and so as soon as you’ve moored up you can spot their shadows passing beneath the boat. Once settled on the sandy bottom we must have had about 15 stingrays searching us for food, it was fantastic! Although this dive isn’t for the faint hearted, for the stingrays are big and some can be a quite boisterous in their search. 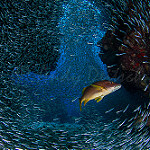 The Author: Katie Stacey, Dive Instructor. This dive site is the deeper one where it's possible to dive with stingrays. Map of Grand Cayman, Stingray City Sandbar dive site.